Scooter Braun certainly has an ear for talent and he couldn’t have made a better choice than to take British band Rixton under his wing. Made up of Jake Roche (vocalist/guitarist), Charley Bagnall (vocals/lead guitar), Danny Wilkin (vocals/bass/keys) and Lewi Morgan (vocals/drums), Rixton has won over our hearts (even the broken ones). 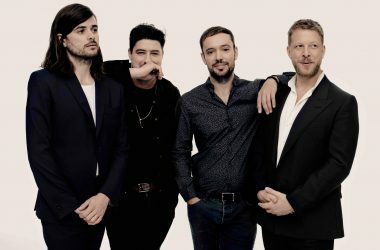 The quartet signed to School Boy/Interscope Records have delivered two successful EPs, toured with Justin Bieber and sold-out their own mini tour last year. 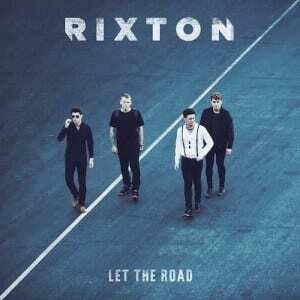 It just so happens that 2015 is already shaping up to me a stellar year for Rixton who released their debut record, Let The Road earlier this week and are currently out on the road with Ariana Grande on her Honeymoon Tour. Let The Road features 12 tracks, with the title track opening the album delivering impressive harmonies from the beginning. Their stand-out harmonies blend together effortlessly and beautifully on this track with a drum kick that graces the end of the song giving it a reminiscent vibe. “Wait On Me” was the album’s second single that quickly made its way to the Billboard Top 40 chart. 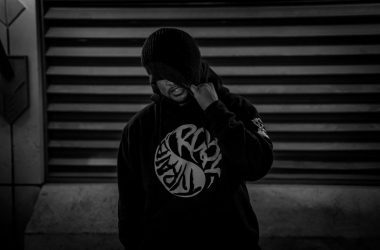 With a reggae and R&B fusion, the song carries a friendly, sing-a-long chorus. “Appreciated” is slower paced with gentle guitar strumming introducing the track with delicate whistling and heartwarming lyrics like, “Cause it’s you who somehow is always the first to take care of me at my worst.” Though not a radio friendly hit, “Appreciated” is sure to be a fan favorite because of its meaningful message. “Me and My Broken Heart” is one of the most reminiscent tracks from the album. The radio friendly track about a relationship gone bad with a calling to find a healthy and real love, “Me and My Broken Heart” captivates anyone flipping through radio channels with its delicate piano introduction and Jake Roche’s impressive vocals. Its diverse instrumentation makes it an easy listen through for anyone new to Rixton. “Hotel Ceiling” is undoubtedly the darkest song on the album with a mysterious vibe throughout the song that keeps you on your toes. “Hotel Ceiling” tells the story of losing a loved one and trying to face the news and hold onto the sweet feeling of that person still being around. The accompanying music video for the track is equally as haunting but worth the watch. Overall, Let The Road is a milestone for Rixton who, since their start, make a clear-cut statement about who they are sonically with their debut LP. Together they effortlessly blend many different genres with stellar vocals that make each track its own but also transition easily into one another with no hiccups along the way.